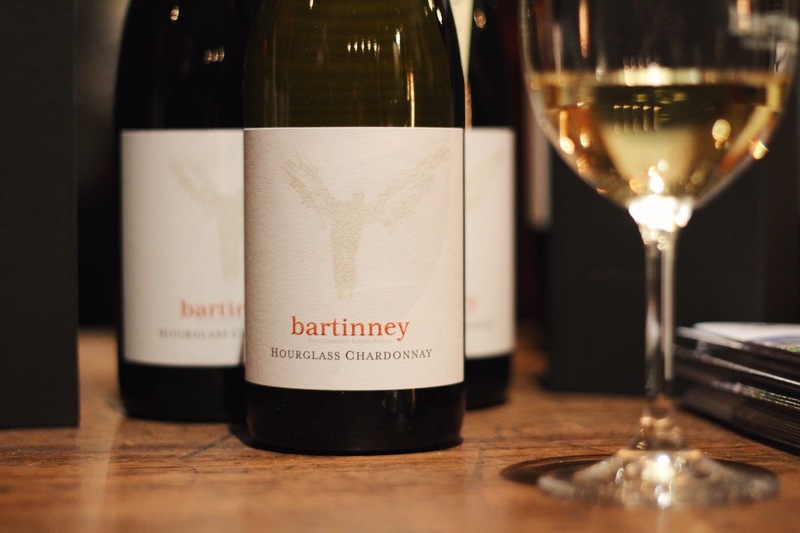 The Bartinney team were pleased to catch up with the lovely Malu Lambert, wine writer extraordinaire at the estate. Malu and our owner Rose Jordaan enjoyed our newest flagship releases, the Hourglass Chardonnay 2015 and Skyfall Cabernet Sauvignon 2012. ‘You never know what’s around the corner on the Helshoogte Pass. 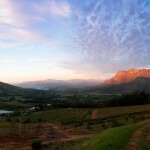 It’s home to some of Stellenbosch’s most awarded wine estates, though most are obscured from view on the winding road. I’m always surprised, once I drive through one of the unassuming gates, by the scope of the estate that lies beyond. Bartinney is no different. So modest is their entrance that initially I drive past, a quick turnaround and soon I’m on a dirt road, buffered by the scent of wild mountain fynbos, heading towards the tasting room. Set on the slopes of Botmaskop, the estate looks out over the Banhoek Valley and its vineyards are all on divergent, undulating slopes. “It’s extreme viticulture,” says owner Rose Jordaan. “We have different pruning methods for each vineyard as each one is on a different aspect.” She says this in a way that implies she knows this is meant to be frustrating, but she actually revels in the non-uniformity of the farm—and so do the grapes. We’re at the centre of the wonky vineyards, upstairs in the tasting room, taking it all in. Half a moon hangs in the blue sky behind Rose as she gaily pours us a glass of the recently launched Hourglass Chardonnay 2015. Rose has long, gold-tinged blonde hair that she wears loose hanging in waves, a ready smile lights up her face. Continue reading the fantastic article here.